Parrott, Zach. "Government Apology to Former Students of Indian Residential Schools". The Canadian Encyclopedia, 01 December 2016, Historica Canada. https://www.thecanadianencyclopedia.ca/en/article/government-apology-to-former-students-of-indian-residential-schools. Accessed 24 April 2019. On 11 June 2008 Prime Minister Stephen Harper stood in the House of Commons to offer, on behalf of the Government of Canada, an apology to Aboriginal peoples in Canada for the abuse, suffering, and generational and cultural dislocation that resulted from assimilative, government-sanctioned residential schools. On 11 June 2008 Prime Minister Stephen Harper stood in the House of Commons to offer, on behalf of the Government of Canada, an apology to Aboriginal peoples in Canada for the abuse, suffering, and generational and cultural dislocation that resulted from assimilative, government-sanctioned residential schools. The apology (see below for full text) specifically addresses: the assimilative practices of the government; the forced removal of children from their families; the abuse suffered by many of those children; and the resulting effects of these policies. Though the last residential school in Canada closed in 1996, the system had been in decline since the 1970s. As a result of the growing willingness of survivors to speak publicly about their suffering and to press for reparation, many churches and other organizations issued formal apologies for their involvement in the residential school system. The Anglican (6 August 1993), Presbyterian (5 June 1994) and United churches of Canada (27 October 1998) apologized for the general presumption of cultural superiority as well as the often systematic sexual, physical, emotional and psychological abuse inflicted under their watch. In 2004, the RCMP apologized for their role in removing children from their families to attend the schools. Some organizations within the Catholic Church in Canada also apologized, such as the Missionary Oblates of Mary Immaculate (24 July 1991), though the church has not issued an official apology to date. In 1998, the Liberal government made a Statement of Reconciliation that recognized the abuse suffered at the residential schools and established the Aboriginal Healing Foundation. This was not, however, an official apology as such. 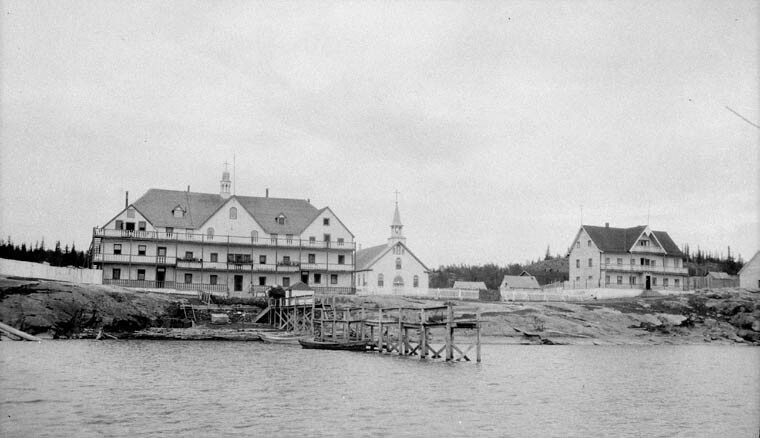 After continued pressure from Aboriginal communities for acknowledgement and compensation, the comprehensive Indian Residential Schools Settlement Agreement (IRSSA) was agreed to in 2005 by the Liberal government, churches, the Assembly of First Nations and plaintiffs; and was ratified in 2006 by a new Conservative government. After the IRSSA came into effect in 2007, many activists called for the government to apologize formally. In response, the Conservative government maintained that an apology was not part of the agreement. However, on 1 May 2007, Liberal MP Gary Merasty introduced a motion calling for the Government to deliver an official apology to residential school survivors; it passed unanimously. 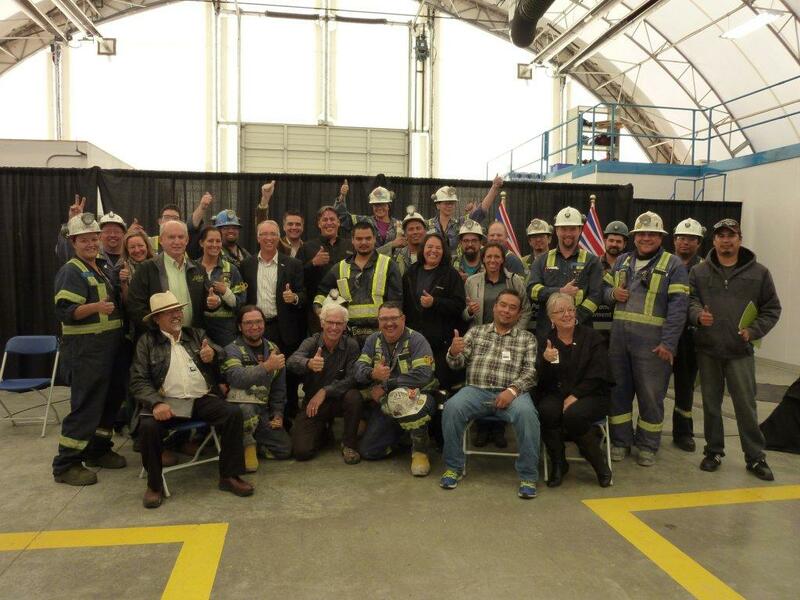 Our peoples, our history, and our present being are the essence of Canada. The attempts to erase our identities hurt us deeply, but it also hurt all Canadians and impoverished the character of this nation. We must not falter in our duty now. Emboldened by this spectacle of history, it is possible to end our racial nightmare together. The memories of residential schools sometimes cut like merciless knives at our souls. This day will help us to put that pain behind us. Despite this, many Aboriginal peoples criticized the lack of consultation in developing the apology, feeling that it did not go far enough to acknowledge the persistent effects of the system. With the rise of the Idle No More movement, a rallying cry to “Honour the Apology” has gained traction, calling for the government to do more to address Aboriginal issues. I stand before you today to offer an apology to former students of Indian residential schools. The treatment of children in these schools is a sad chapter in our history. For more than a century, Indian residential schools separated over 150,000 aboriginal children from their families and communities. 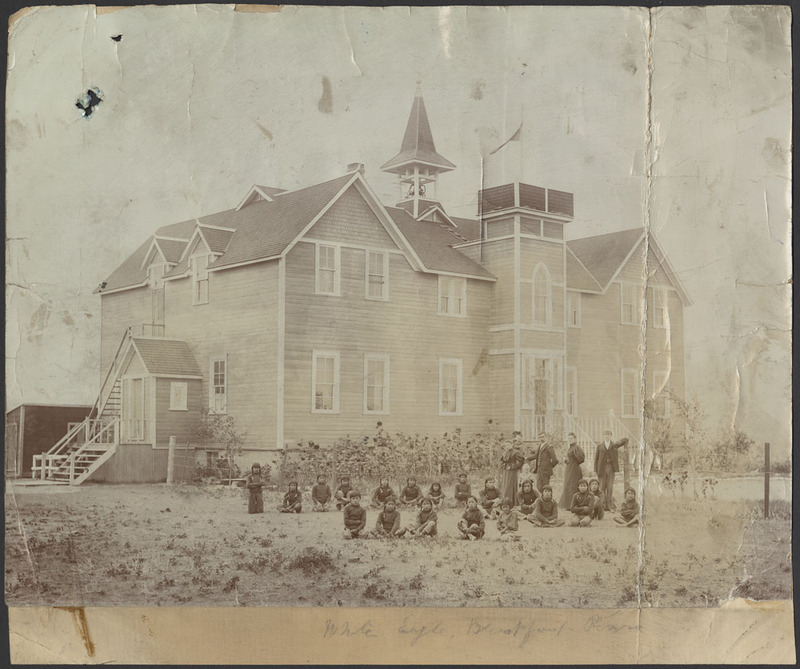 In the 1870s, the federal government, partly in order to meet its obligations to educate aboriginal children, began to play a role in the development and administration of these schools. 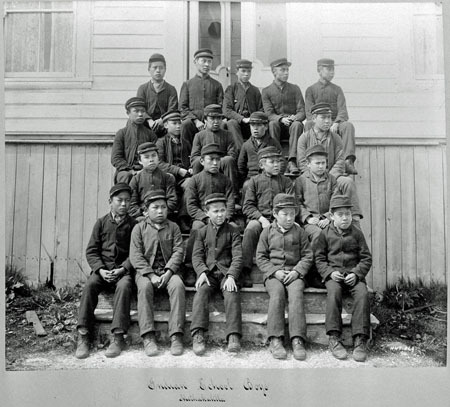 Two primary objectives of the residential school system were to remove and isolate children from the influence of their homes, families, traditions and cultures, and to assimilate them into the dominant culture. These objectives were based on the assumption that aboriginal cultures and spiritual beliefs were inferior and unequal. Today, we recognize that this policy of assimilation was wrong, has caused great harm, and has no place in our country. One hundred and thirty-two federally-supported schools were located in every province and territory, except Newfoundland, New Brunswick and Prince Edward Island. Most schools were operated as joint ventures with Anglican, Catholic, Presbyterian and United churches. 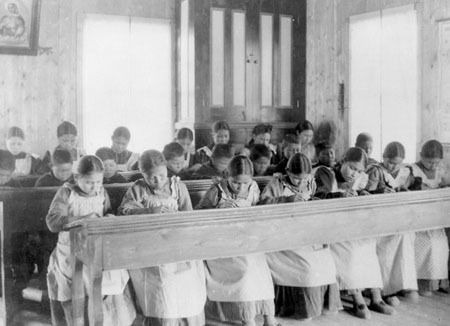 The Government of Canada built an educational system in which very young children were often forcibly removed from their homes and often taken far from their communities. Tragically, some of these children died while attending residential schools, and others never returned home. It has taken extraordinary courage for the thousands of survivors who have come forward to speak publicly about the abuse they suffered. It is a testament to their resilience as individuals and to the strengths of their cultures. To the approximately 80,000 living former students and all family members and communities, the Government of Canada now recognizes that it was wrong to forcibly remove children from their homes, and we apologize for having done this. We now recognize that in separating children from their families, we undermined the ability of many to adequately parent their own children and sowed the seeds for generations to follow, and we apologize for having done this. We now recognize that far too often these institutions gave rise to abuse or neglect and were inadequately controlled, and we apologize for failing to protect you. The burden of this experience has been on your shoulders for far too long. The burden is properly ours as a government, and as a country. There is no place in Canada for the attitudes that inspired the Indian residential schools system to ever again prevail. You have been working on recovering from this experience for a long time, and in a very real sense we are now joining you on this journey. The Government of Canada sincerely apologizes and asks the forgiveness of the aboriginal peoples of this country for failing them so profoundly. In moving toward healing, reconciliation and resolution of the sad legacy of Indian residential schools, the implementation of the Indian residential schools settlement agreement began on September 2007. Years of work by survivors, communities and aboriginal organizations culminated in an agreement that gives us a new beginning and an opportunity to move forward together in partnership. A cornerstone of the settlement agreement is the Indian residential schools truth and reconciliation commission. This commission represents a unique opportunity to educate all Canadians on the Indian residential schools system. It will be a positive step in forging a new relationship between Aboriginal peoples and other Canadians, a relationship based on the knowledge of our shared history, a respect for each other and a desire to move forward with a renewed understanding that strong families, strong communities and vibrant cultures and traditions will contribute to a stronger Canada for all of us. God bless all of you. God bless our land. Key milestonesAn illustrated chronology of key events in the history of residential schools and subsequent attempts to address victims’ issues. From Aboriginal Affairs and Northern Development Canada. Indian Residential SchoolsA 2013 report on policies and advocacy work on behalf of former residential school students and their families. Click on “News & Media” for the latest updates. From the Assembly of First Nations. Legacy of Hope FoundationThe Facebook page for the Legacy of Hope Foundation offers the latest news, announcements, and events concerning residential school matters in Canada. Indian Affairs Annual Reports, 1864-1990Click on “Search: Database” and enter relevant keywords to access copies of Indian Affairs Annual Reports from 1864 to 1990. Offers data and fascinating discussions of important issues that relate to present day matters of concern to Canada’s Aboriginal communities. From Library and Archives Canada. List of Residential SchoolsScroll down the page to see a listing of recognized residential schools and hostels in Canada. Also, check this site for details of related issues. From the official court website for the Indian Residential Schools Class Action Settlement. Truth and Reconciliation Commission of CanadaA commission that investigated the policies and operations of residential schools and assisted Aboriginal victims and their families through the process of reconciliation.